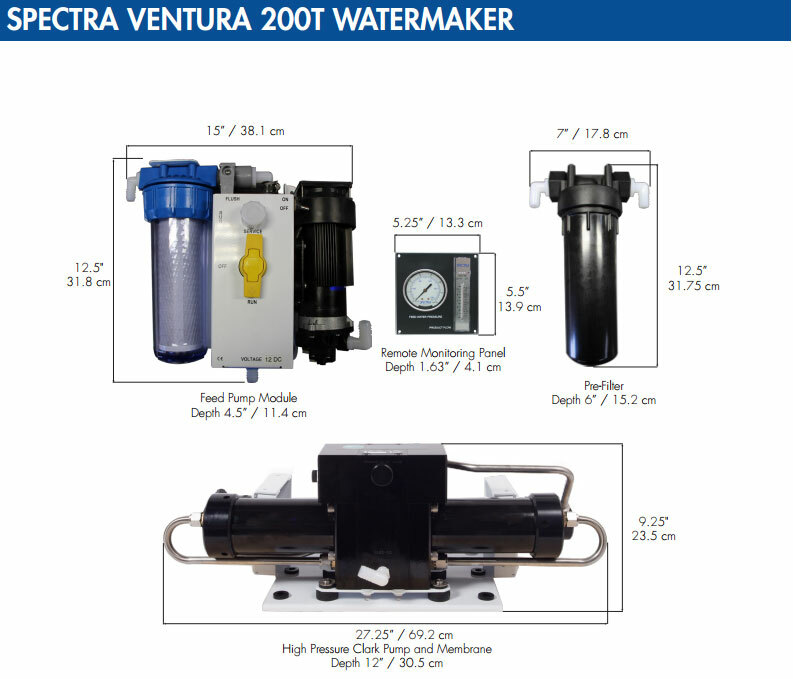 The Spectra Ventura 200 deluxe is manufactured to be energy efficient, lightweight, compact and produce 8.3GPH of fresh drinking water. The VT-200D can be installed in confined spaces due to it's compact modular design. It is without electronics, only the prime pump uses electricity. It has an analog monitoring panel, pvc selector ball valves and a handheld TDS Meter. Do you have any questions? Please visit our contact page. Distributors, their dealers, and installers are responsible for ensuring that the installation is correct and that the system is tested before turning the product over to the end user. All systems are shipped with a Quality Control sheet detailing the performance of the complete system at the time it left the factory. A separate checklist is included to ensure that the system is properly commissioned.